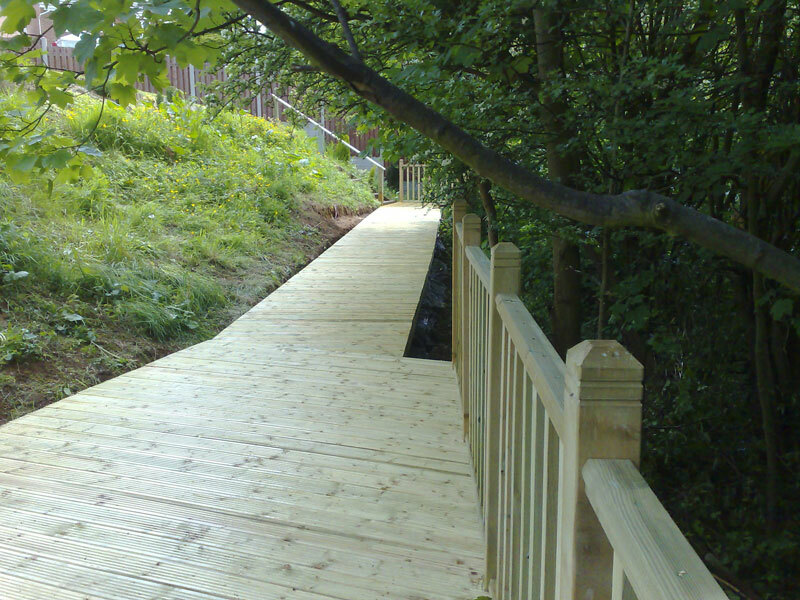 Ideal solutions for sloping or wet sites, awkward or uneven surfaces, worn out patios or raised indoor & outdoor access. 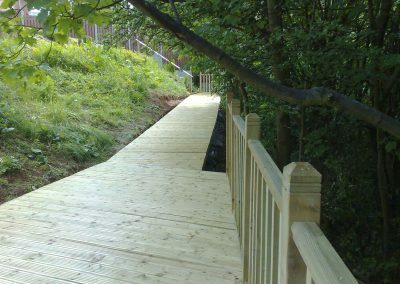 A deck is an ideal choice for those who like to sit out and relax… please take a look at some of our recent installations shown below. 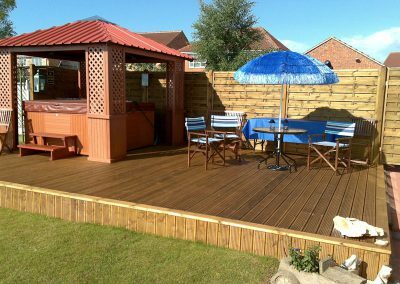 Garden decking can be designed and custom built to fit snugly around a conservatory, with the sides finished off with trellis screening to provide privacy where necessary. 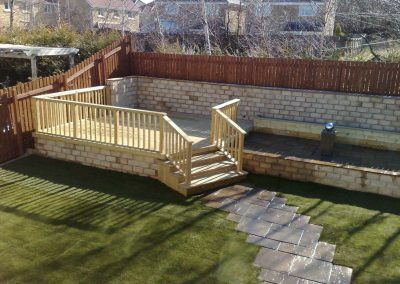 Another area where decking is particularly beneficial is in steeply sloping gardens; combined with paved areas and stone or wooden steps it is possible to totally maximise space in awkward areas with well designed and installed raised decked solutions. 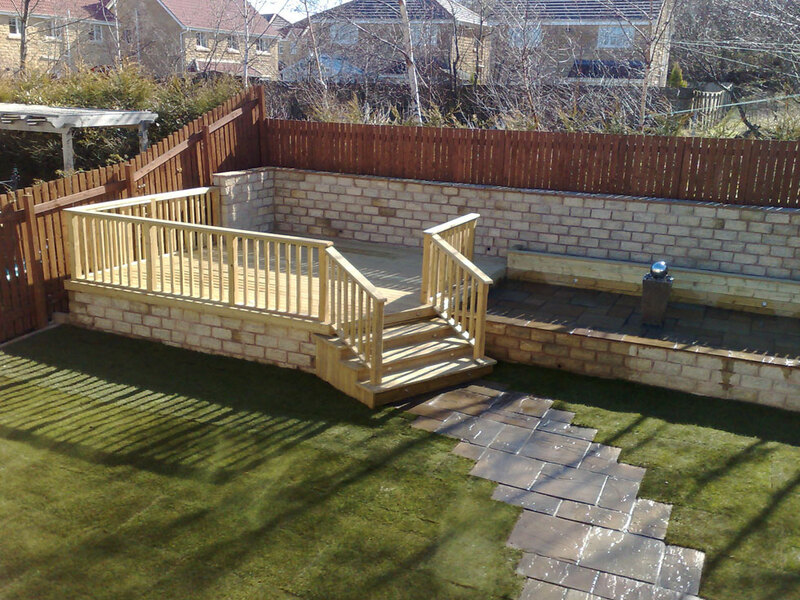 Once the groundwork is completed the frame of the decking can be put in place and securely concreted in. 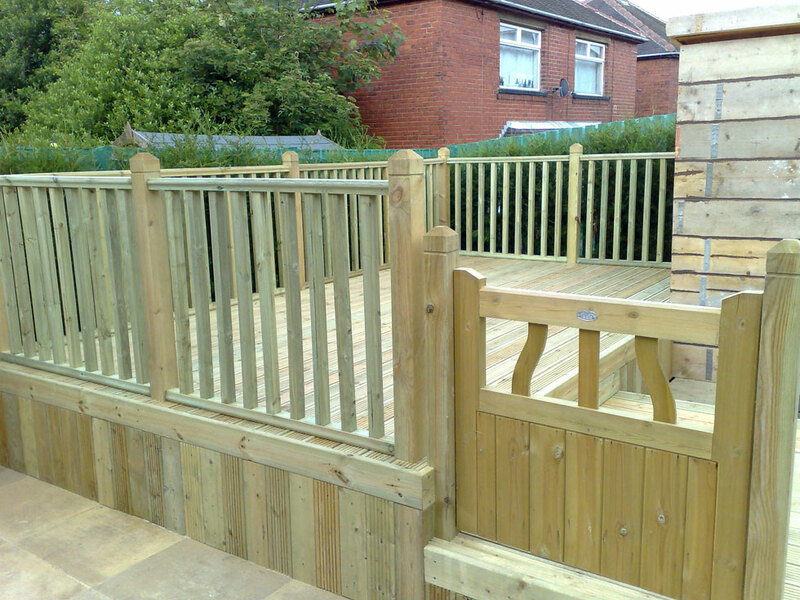 All decking is built on site and to your own requirements in size and shape. We always use heavy duty high quality pressure treated timber decking with a Ten Year Guarantee. 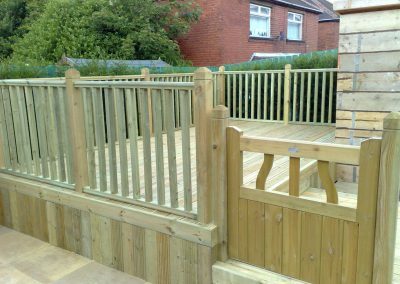 There is a wide range of ballustrade, newel post and handrail options available, and many customers choose to further enhance their decking with outdoor lighting solutions.